Surrounded by Nevada’s desolate desert beauty, a once high-flying community is making a comeback. Just a short jaunt from the Las Vegas strip down Lake Mead Boulevard, Lake Las Vegas is once again on track with five new communities either under construction or on the way, new retail, and the latest addition, a specialty grocery store. The community is not by any means all of the way back – the economy closer to the Las Vegas area itself is just regaining its footing – but from its fall during the Great Recession when the Las Vegas real estate bubble burst — there’s a whiff of recovery in the wind. 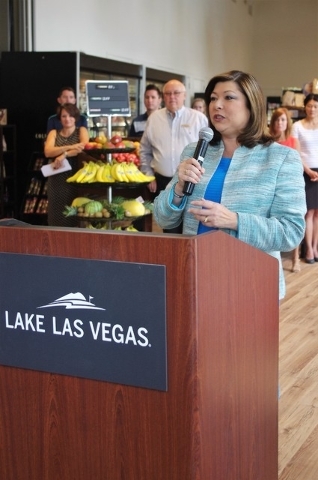 “Things are progressing and we’re moving in the right direction,” said Gerri Schroder, a Henderson councilwoman whose district includes Lake Las Vegas. 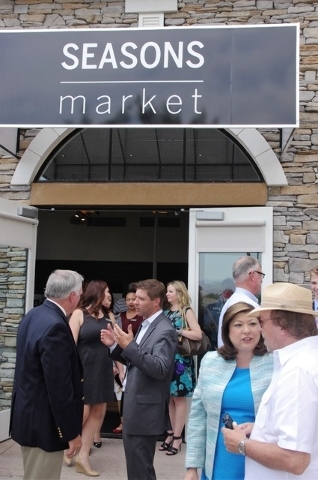 Schroder spoke at the recent grand opening for the project’s newest addition, a specialty grocery store. Part of the strategy to resuscitate the high-end development that initially targeted the well-heeled as a second home market has been to transform it into a community where residents can live, eat, sleep and play. Real estate in the 3,592-acre development is more diverse, although there is also still plenty of flair. Builders in the reviving development include three public builders with 21 floor plans, Parker said. 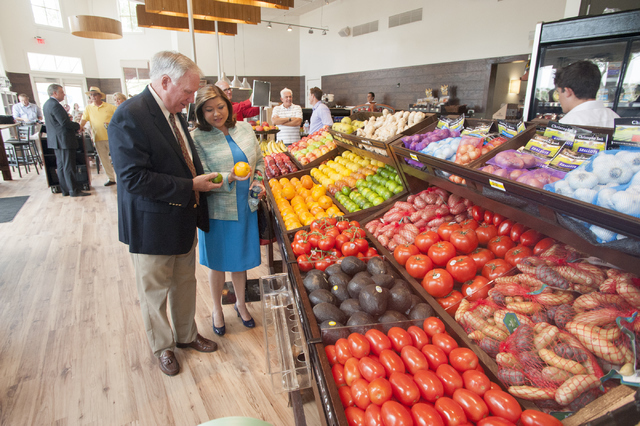 • And the area got a new grocery store called Seasons Market. There are other factors that help occurring in other parts of Clark County, such as the decision by the NHL to put a team in Las Vegas and the possibility of the Oakland Raiders relocating to the city. Tourism is way up and new flights have been added to McCarran International Airport. Prices are headed the right way, too. The Greater Las Vegas Association of Realtors reported that the median price of single-family homes sold in Southern Nevada through its Multiple Listing Service increased to $229,250 during May, up 8.5 percent from a year ago at the same time. 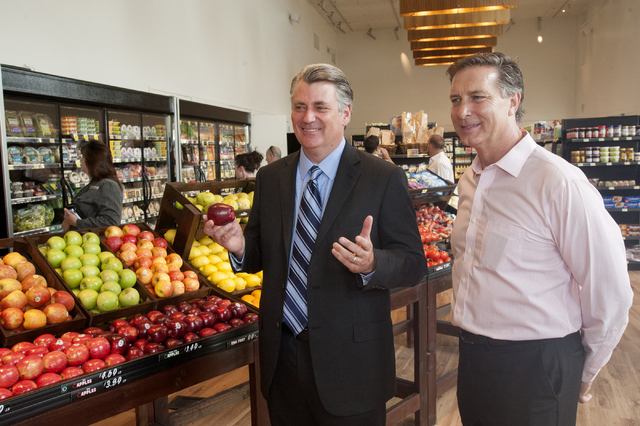 But little things can make a big difference, too and the grocer story fits that strategy well. Henderson Mayor Andy Hafen said the new store “will be a hub of activity.” Seasons Market includes fresh produce, meat and fish, artesan bread and pastries from the Water Street District’s Chef Flemming’s BakeShop, gourmet cheese, a barista station with Peet’s Coffee and Danesi Expresso, a selection of fine wines, sandwich counter and gift items. There is seating inside the market and on the floating park on the lake. Services will include dry cleaning pick-up and drop-off. Groceries will be delivered to cars parked in the lot next to the store and, in the future, home delivery in a three-mile radius will be added. The real estate market in Lake Las Vegas is on the rise, said Philip Kaffka, owner of Level Development Group, a custom home builder. His company has done about 40 remodels and built around 20 custom homes in the community. New home models are available at Monte Lucca by Century Communities and The Peaks and Lago Vista by William Lyon Homes. CalAtlantic Homes Regatta Pointe is under construction and expected to open in the fall. Retail is also picking up. Coming to MonteLago Village are a photography studio, gelato shop and floating park, according to a press statement at the grand opening of the grocery store. Rocky Mountain Chocolate Factory has been in the village for about a dozen years. It’s been through the good times and the hard times, said owner Paul Brueggemann. The downtimes were rocky, he said. “It just looked like things would improve on certain months, and then things would go bad,” Brueggemann said. Today, however, he is beginning to feel like there will be plenty of improvement with business. He added a photo shop opens on Saturdays. Seasons Market will be a big plus, he said. Brueggemann said the moves by Raintree have made all the difference. Raintree is owned by New York hedge fund manager John Paulson, which acquired a significant chunk of the development in 2012. Big events are coming, too, which will draw attention to the area, Parker said. This year’s Summer of Celebration will include a free Independence Day fireworks show and a Henderson Symphony concert will be held July 3 at the village. All in all, Lake Las Vegas may not be living up to the lofty expectations it had when it was in its heyday, but what drew people then is still there, Kaffka said.